All Smith students are required to complete course feedback questionnaires for classes taken at Smith in both the fall and spring semesters. Visiting students, graduate students and Smith students studying elsewhere—including study abroad programs—are not required to complete course feedback questionnaires. Information gleaned from these questionnaires contributes to the decisions made about the tenure and promotion of Smith faculty. Course Feedback Questionnaires are completed through an online platform during the last week of classes through the end of finals each semester. These feedback forms are not available until they are turned on during the last week of classes. Detailed instructions on how to complete your course feedback forms will be sent to all students via email on the last day of classes each semester. This invitation to complete the course feedback forms will be followed up with several reminders to students. As mandated by the Student Government Association, students who fail to complete the feedback questionnaires will be fined $25. Why do we ask students to complete course feedback forms? The information gathered from these feedback forms will be used by individual faculty in improving their teaching and planning future courses. 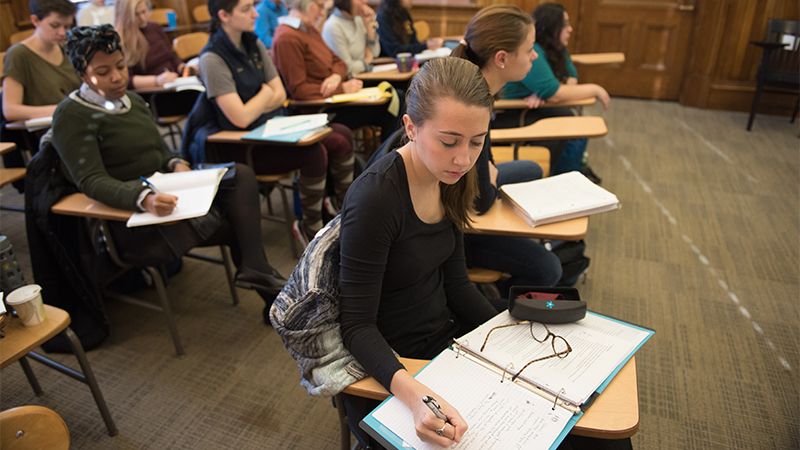 The feedback provided by students is also used by departments and the Committee on Tenure and Promotion to assess teaching at Smith, therefore it is very important that all students participate in the feedback process. This is the only consistent input students have into tenure and promotion decisions. Why is one of my courses missing from the list?/Why are some courses not included in this feedback system? The course feedback questionnaire is available to students online during a three-week period at the end of the semester. Faculty have the opportunity to submit custom questions in advance. Faculty gain access to reports following the deadline for submission of grades. May 2, 2019 Students receive email with direct link to complete course feedback questionnaires. May 12, 2019 Access to course feedback questionnaire closes for students.